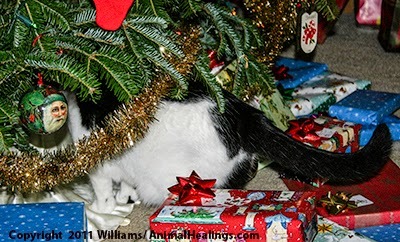 Holiday temptations and dangers lurk all over the house for your pets this time of year. You can avoid turning a celebration into a disaster with a little careful planning and attention to details about your holiday decorations for your furry and feathered family members by seeing things from their perspective. Check our safety tips and holiday guide.